Find out why Metro Vancouver is the best place to be in the world. Vancouver – Vancouver is a coastal city located in the Lower Mainland of British Columbia, Canada. The metropolitan area is the third-largest in the country, and most populous in Western Canada. Surrey – Surrey is a city in the province of British Columbia, Canada. It is the province’s second-largest city by population after the city of Vancouver. Burnaby – Burnaby is a city in British Columbia, Canada, located immediately to the east of Vancouver. It is the third-largest city in British Columbia by population, surpassed only by nearby Surrey and Vancouver. Coquitlam – Coquitlam is a city in the Lower Mainland of British Columbia, Canada. Coquitlam is mainly a suburban city, and is one of the 21 municipalities comprising Metro Vancouver. According to the 2007 Canadian Census, it is the 5th-largest city in British Columbia. Delta – Delta is a district municipality in British Columbia, and forms part of Metro Vancouver. Located south of Richmond, it is bordered by the Fraser River to the north, the United States (Point Roberts, Washington) to the south and the city of Surrey to the east. Langley – Langley is a district municipality comprised of the Township of Langley and the City of Langley, immediately east of the City of Surrey in southwestern British Columbia, Canada. It extends south from the Fraser River to the U.S. border, and east to the City of Abbotsford. Maple Ridge – Maple Ridge is a District Municipality in British Columbia, located in the northeastern section of Metro Vancouver. New Westminster – New Westminster is located on the Burrard Peninsula, on the north bank of the Fraser River and forms part of Metro Vancouver. It is 19 kilometres (12 mi) southeast of the City of Vancouver proper, adjacent to Burnaby and Coquitlam and across the Fraser River from Surrey. Port Coquitlam – Port Coquitlam is a city in British Columbia, Canada and forms part of Metro Vancouver. 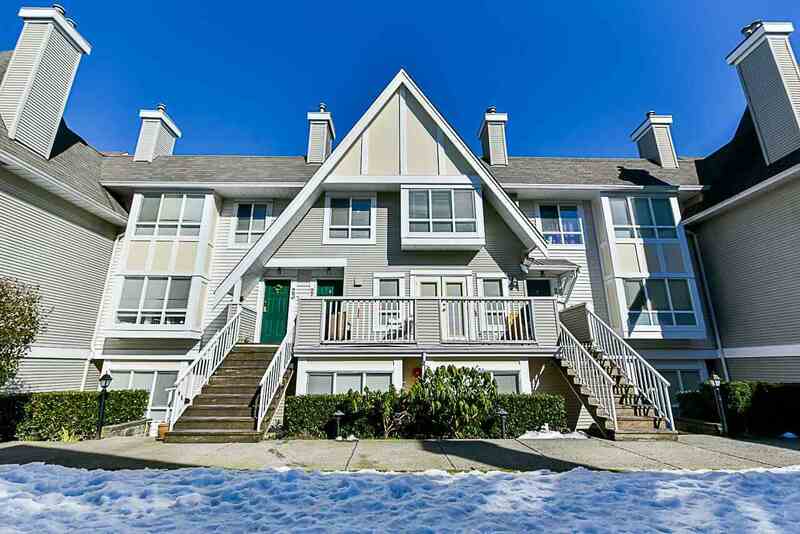 Located 27 km east of Vancouver, it sits at the confluence of the Fraser River and the Pitt River.Coquitlam borders it on the north, the Coquitlam River borders it on the west, and the cities of Maple Ridge and Pitt Meadows lie across the Pitt River. Port Moody – Port Moody is a small, crescent-shaped city in Metro Vancouver, located at the east end of Burrard Inlet in British Columbia, Canada. Port Moody is the smallest of the Tri-Cities, bordered by Coquitlam on the east and south, and Burnaby on the west. Pitt Meadows – Pitt Meadows is a city in southwestern British Columbia, Canada and a member municipality in Metro Vancouver. Incorporated in 1914, it has a land area of 85.38 square kilometers and a population of 17,410 (as of 2008). Pitt Meadows is largely a flood plain town, sandwiched between the Pitt River on the west and Maple Ridge on the east. Richmond – Richmond is a coastal city, incorporated in the Canadian province of British Columbia. Part of Metro Vancouver, its neighbouring communities are Vancouver and Burnaby to the north, New Westminster to the east, and Delta to the south, while the Strait of Georgia forms its western border. Abbotsford – Abbotsford is a Canadian city located in the Fraser Valley of British Columbia, adjacent to Greater Vancouver. It is the fifth largest municipality in British Columbia, home to 123,864 people. Mission – Mission, the core of which was formerly known as Mission City, is a district municipality in the province of British Columbia, Canada. It is situated on the north bank of the Fraser River overlooking the City of Abbotsford and with that city is part of the Central Fraser Valley. Chilliwack – Chilliwack is a Canadian city in the Province of British Columbia. Chilliwack is located in the Upper Fraser Valley, 100 kilometres (60 mi) east of Vancouver on the Trans Canada Highway. Chilliwack is the second largest city in the Fraser Valley Regional District after Abbotsford. The city is bounded on the north by the Fraser River, and on the south by the Canada-United States border. Squamish – Squamish is a community and a district municipality in the Canadian province of British Columbia, located at the north end of Howe Sound on the Sea to Sky Highway. Whistler – Whistler is a Canadian resort town in the southern Pacific Ranges of the Coast Mountains in the province of British Columbia, Canada, approximately 125 kilometres (78 mi) north of Vancouver. Incorporated as the Resort Municipality of Whistler (RMOW), it has a permanent population of approximately 9,965, plus a larger but rotating “transient” population of workers, typically younger people from beyond BC, notably from Australia and Europe. Pemberton – Pemberton is a village north of Whistler in the Pemberton Valley of British Columbia in Canada, with a population of 2,192. Until the 1960s the village could be accessed only by train but that changed when Highway 99 was built through Whistler (then named Alta Lake) and Pemberton. With the strength of the Canadian dollar, low interest rates and a strong economy, these cities have continuously been rated as some of the best investments a person can make in North America. Contact your REALTOR at Coldwell Banker Vantage Realty to find your home in the best place in the world.